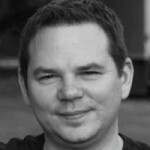 EDITOR’S NOTE: Last month James LeDoux gave us some critical components of negotiation: a healthy helping of preparation, a critical dash of concentration, and a big heap of confident communication. In his second installment, this smooth operator elaborates further, providing even more tips that are sure to relieve your mounting frustration and lead you straight to higher compensation. Learn from the master. There is a fine line between being assertive and being aggressive. No one likes to be bullied or pushed around, so never try to play hardball during a negotiation. Don’t back yourself or your prospective employer into a corner. Flexibility in your outlook and approach is key here. Negotiate several points so you have more than one option. If they can’t offer you the pay rate that you hoped for, perhaps they can give you extra vacation or an early merit review. If you only negotiate pay, an all or nothing situation can develop very quickly. With that said, remember that though the meek may be first in line to inherit the earth, they are last in line to get a good salary. You still have to be ready to ask for what you want. Good: “I’m excited about this opportunity at PLiNTH & CHiNTZ and think it is a great place to start my career. There are a few things I’d like to discuss with regard to this offer.” Next you would go on to ask questions about benefits and vacation, and would foster a pleasant conversation about your concerns. Ensures that the things you were promised come to fruition. Buys you valuable time to weigh your offer and compare it to other offers you receive. 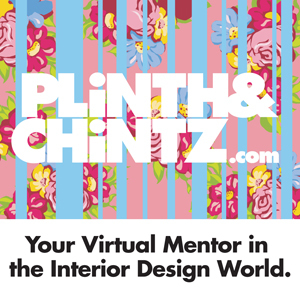 Say something like, “I’m really excited about joining PLiNTH & CHiNTZ. I’d like to review the complete offer in writing.” If pressured for an answer, say that you agree to the terms in principle, but would like a chance to review them in writing. When evaluating your offer, you have to consider the big picture to avoid passing up the best opportunity based solely on the wage offered. Put your offer into perspective — think about the cost of living for the location, the lifestyle that a particular area offers you, the educational opportunities at your new job, and the amount of responsibility you will have. Consider your long-term goals. It may be more beneficial to take a job with a small firm that offers more initial responsibility and chances to grow than a large firm. Would you rather be a junior designer in a massive firm, executing other people’s designs, or running your own projects in a small, innovative shop” On the other hand, will you have more opportunity to advance in a larger firm, or will you enjoy the firm’s location more” Make a list, and compare the pros and cons of all facets of an offer. Over the course of your career, you should seek valuable experiences that you can use to launch yourself toward your goals. You can always negotiate a larger salary after you have proven your chops. But you can never negotiate back time wasted working as a well-paid, but unchallenged, lackey. Last, when considering an offer, check to see if there are options on the start date. Perhaps the employer is flexible and can wait a month before you start. Long breaks to take that dream trip to Japan or New Zealand are hard to come by once you start your career. If it works out, this could be the trip of a lifetime — exploring the world with the assurance of a wonderful job waiting when you return. Trust me — it is unlikely you will look back and regret a trip like that as a reward for your long, hard work in school. You will start your new job refreshed and ready for anything. If necessity is the mother of invention, then I say that practice is the father of competence. Negotiating may not come naturally to you, but that’s okay. It didn’t come easy to me either. It takes practice to become comfortable discussing terms of employment, project timelines, proposal costs, and the hundreds of other things you will negotiate in your career. So don’t wait to get practice. Start now. Consider a purchase as an ideal forum to practice. While you may not be able to negotiate the cost of a small item, you gain a chance for valuable practice with most large items. When buying turntables recently, I asked the vendor if they could beat the lowest price their competitor was offering. Though the floor person could not do this, he introduced me to the store manager. Thirty minutes later, I left with my purchases. Not only did I get a lower price, but the manager was able to work with me to offset the sales tax. The price I paid ended up being 30% lower than the standard price and 20% lower than the prices I’d seen on eBay and other online dealers. Thanks to my research, I was able to convince the manager that I had a great interest in buying the items, and that I would leave if my terms were not met. Not every attempt will work out, but the truth is that each attempt will make you more comfortable. Be prepared to look somewhere else if they don’t work with you. You can always come back and pay full price later. Finally, make a point to read several books on the subject of negotiating. Even if the first offer smashes your wildest dreams, being well prepared will equip you with the knowledge to realize this. You may have several chances over the next few years to negotiate salaries, but why learn from trial and error” Put the same effort into learning this topic as you do your other subjects, and it will pay big dividends. This book will help you become comfortable being assertive. I read this book with the aim of helping me on the phone and soon realized it helped me in my personal relationships too. Pure gold!!! One of the first books I read on the subject, and a great place to start. Herb Cohen puts the complex issue of negotiation in easy terms. Though not focused on salary negotiation, it will help you build a great foundation. Use this handy website to find your market value. Book of government statistics regarding labor and wages. A good place to start.